Guests: Marcus Musante is running for Congress in California on a police reform platform. Ricky Martinez was shot by a cop in Montana and lived to talk about it. He will tell us his story. 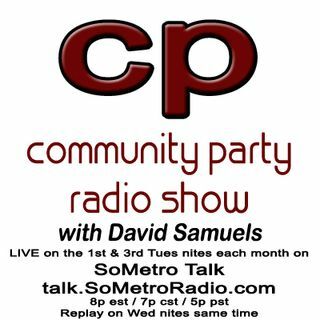 Mary and David will talk about her public hearing testimony supporting CP's Meagan Hockaday Act police reform bill, the neoliberal attack on public sector workers by Connecticut Gov. Dan Malloy and Hartford Mayor Luke Bronin, and the protest against Donald Trump in Chicago.